Make your holiday shopping easy and meaningful. Casa Escondida Bed & Breakfast is happy to offer gift certificates! Casa Escondida is a Santa Fe area Bed & Breakfast, which is located in historic Chimayo, NM (just 35 minutes north of Santa Fe). We offer Santa Fe area accommodations. When you give a Casa Escondida Bed & Breakfast holiday gift certificate, you are not just giving a gift. You are actually giving an experience, which will provide a lifelong memory. Casa Escondida B&B gift certificates NEVER expire. There are no blackout dates and they are completely transferable. Casa Escondida Bed & Breakfast gift certificates can be ordered by phone, during regular business hours or you can place your gift certificate order directly at our website by simply clicking on the “Gift Certificates” tab. 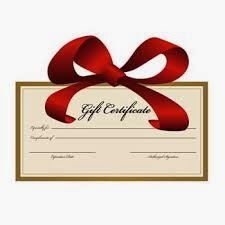 We can either mail the gift certificate to you, so that you are able to personally give your gift OR we can mail the gift certificate directly to your loved one. 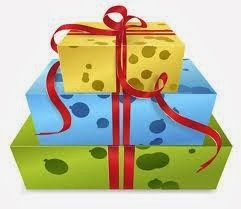 Gift certificates are mailed in a decorative envelope, with a personalized letter, denoting your good wishes and love. Casa Escondida Bed & Breakfast is a delightful New Mexico retreat, which has rooms available year-round. We are perfect for a romantic New Mexico getaway too. Your loved one can easily contact Casa Escondida B&B to check room availability or to inquire about a reservation. Casa Escondida Bed & Breakfast is a green bed & breakfast, which provides Santa Fe area pet-friendly lodging in 4 of our 8 guest rooms. We know that they will enjoy their New Mexico travels AND Casa Escondida Bed & Breakfast! We look forward to having your lucky holiday gift certificate recipient as our guest!